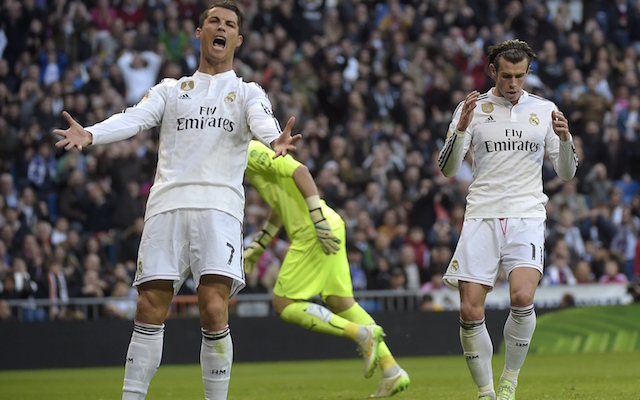 £117m Bale losing patience with Bernabeu fans. Real Madrid could be ready to accept a bid in the region of £117m for Manchester United target Gareth Bale, who is unhappy at the club, according to the Daily Telegraph. The Welsh winger only joined Real from Tottenham Hotspur last season in a world-record £85m transfer, but could be heading for a quick exit from the Bernabeu after being booed by his own fans this weekend. Bale elected to shoot instead of pass when team-mate Cristiano Ronaldo was in a better position, and was the target of anger from the Portuguese forward as well as from the home crowd. United have long been linked with a move for the talented 25-year-old, who was one of the best players in the Premier League during his time at White Hart Lane. This latest saga could mean Bale is made available as he is supposedly growing tired of criticism from Real supporters, who have not always warmed to him following his big-money move to the Spanish capital.